Everyone likes to leave out that AB called out BR to a reporter after the 3rd game of the season. They asked AB about not having a 100 yard receiving game after three games, and AB said “look at the tape, I can’t throw the ball to myself”. He publicly blamed BR for it. 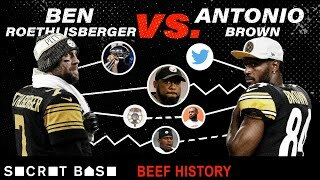 So AB started the whole throwing under the bus drama.